Dry skin is characterized by signs and symptoms like dehydrated, dull, sunken skin that tends to flake. It feels rough and looks unattractive. Severe dryness can also give rise to itching and cause the appearance of cracks and fine lines on the skin. It is an extremely common but uncomfortable problem. Given below are some recipes for homemade beauty masks that are suitable for individuals having dry skin. Apart from following these tips and tricks, take adequate precautions. For instance, avoid taking long, hot baths and choose your skin care products wisely. In addition, try to analyze the exact reason leading to this problem because it can be caused by malnutrition, intake of certain medications and conditions like hormonal imbalance, diabetes, thyroid disorders, kidney failure, etc. Climate, age, and environmental factors also affect the skin. 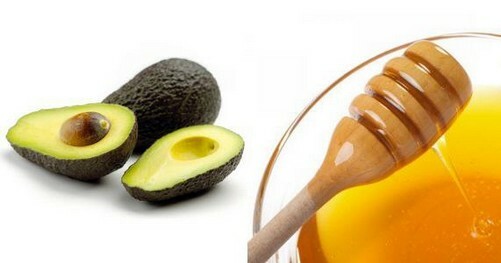 • Take a quarter cup of honey and add half an avocado in it. Apply this mixture on your face and neck. Finally, rinse it off after 10-15 minutes to moisturize the skin. • You can prepare a milk mask by blending a tablespoon of honey (heat it slightly to smoothen it), two drops of any essential oil, one teaspoon each of aloe vera gel, and milk powder. Leave this mixture on your skin for about 15 minutes and then wash it off with cold water. • Applying a combination of half an avocado, half a banana, one teaspoon of extra virgin olive oil, and two tablespoons of yogurt is highly beneficial for dry skin when it is left on the face and neck for almost half an hour and then washed off with lukewarm water. • To make your dull, dry skin soft and smooth, whip an egg yolk and mix one teaspoon each of olive oil, honey and vitamin E oil in it. Apply this beauty care recipe on your face and neck and rinse it off 15-30 minutes. • Boil two to four teaspoons of fresh or dried herbs like lavender, chamomile, and peppermint in two quarts of water and use the steam of this solution for facial sauna for 15 minutes and then apply a moisturizer. Follow this therapy once in a week. Check out this video giving some useful tips for taking care of dry skin. • Another simple homemade recipe for dry skin involves preparing a mixture of half a cup of raw milk and two tablespoons of ground oatmeal. Cook this mixture until it becomes thick and add a little honey. Use this paste as a face pack for about half an hour when it cools. Finally, wash it off with lukewarm water to make your skin soft and supple. You may also add mashed strawberries and yogurt in this recipe. • Blend half a tablespoon of rosewater, a tablespoon of thick cream, and a pinch of turmeric. Leave this face mask on your skin for 30 minutes and then wash it off with warm water. • Applying a combination of ripe papaya pulp, milk cream and honey makes your skin firm and removes blemishes. • Whisk an egg yolk, a tablespoon of warmed honey, and a few drops of olive oil or sweet almond oil. Spread this mixture on your face and neck, and rinse it off with lukewarm water after an hour as a natural treatment for dry skin. • You can prepare a dry skin face mask for cleanising by half a cucumber along with two tablespoons of aloe vera gel. Leave this mask on your face and neck for 30 minutes and then wash it off. • Coconut oil and shea butter are also considered good for dry skin. Thus, you can add one tablespoon each of these ingredients and aloe vera gel. Spread this paste on your skin. Finally, wash your face with cold water after 15 minutes. • Another face pack for moisturizing your skin can be prepared by blending half a banana, two tablespoons of sour cream and a tablespoon of honey. Apply it generously on your face and neck and rinse after 10 minutes.